Ryman Healthcare Announced as Joint-Major Sponsor! 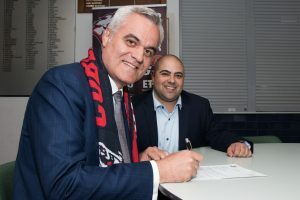 The Coburg Football Club is excited to announce a new partnership with one of Australasia’s leading providers of retirement living options, Ryman Healthcare. 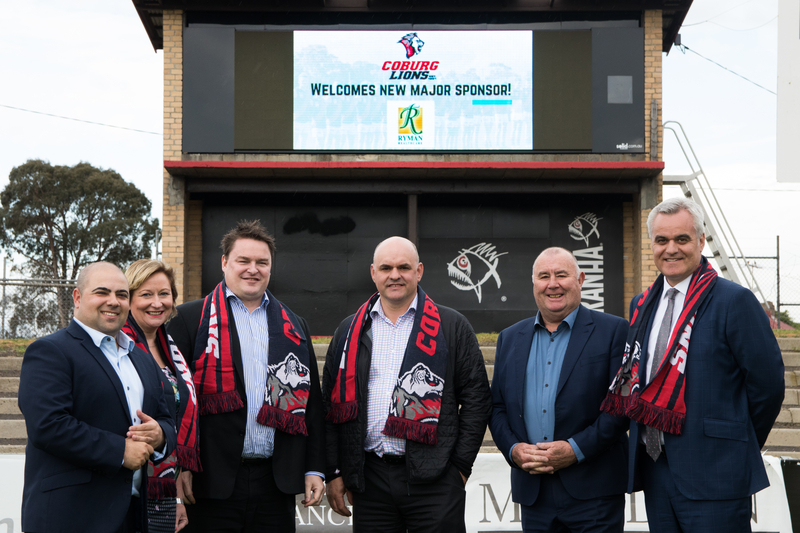 Ryman Healthcare joins Coburg on a two-year deal, which will see the Ryman logo placed on the front of the Lions’ away guernseys, and on the back of the Lions’ home guernseys in 2018 and 2019. After purchasing the vacant land behind Piranha Park formerly occupied by a school, Ryman Healthcare plans to build a retirement village with independent living, serviced apartments, and a care centre. With a focus on the Coburg community, Coburg FC General Manager Sebastian Spagnuolo said it will be fantastic to see the space next to the club utilised, and looks forward to the partnership. “We’re very excited to be partnering with a company that values the community as much as we do,” Spagnuolo said. As one of New Zealand’s largest listed companies, Ryman Healthcare hopes the partnership will create a sense of belonging for their residents. “Our new village is right next to Piranha Park, so it is likely that a lot of our residents will be Coburg Lions fans,” Debbie McClure, Group Sales and Community Relations Manager said. “We have gotten to know the club staff and members, and felt that their ethics and approach fitted with ours, so we jumped at the chance to support the Lions,” McClure continued. For more information about Ryman Healthcare’s Coburg village you can visit them at https://www.rymanhealthcare.com.au/find-a-village/coburg. To register your expressions of interest as a 2018 Coburg FC member, please head to http://bit.ly/2gSoES7 or call us on (03) 9354 8228. Photos courtesy of Mozzed Video & Photography. Tom Condon & Lochie Dickson Coburg’s first new signings this off season!